Have you ever wandered alone at night worried you are being followed? Or are aware of someone walking behind you? I think it is quite natural to be a bit paranoid about these things. I have stumbled across some amazing new research and products that may actually save you from situations like these – and even better – these devices come in the form of jewellery! This looks like a normal piece of wearable jewellery. Beautiful stone and totally suitable for wearing on a night out. However, this Siren Ring comes with a special contraption. With just a simple twist of the ring’s top, the piece lets off a screeching alarm which can project a sound of up to 110 decibels. Now that is loud. With this said, this ring only acts as a deterrent – warding off any potential danger. However, there are products which can now track the users location and alert authorities when activated. With crime against women increasing in India, five engineering students in Delhi have designed wearable jewellery that incorporates potentially life-saving technology. ‘Safer‘ is a pendant which, with a double click of the device, sends alerts to pre-selected phone numbers (such as family and friends), authorities, as well as nearby users. The device is linked with the wearer’s mobile app and people using the same app within the vicinity of the wearer will receive an alert on their phone. This is an amazing piece of technology, giving power to the wearer when going on a night out. If the pendant is misplaced or stolen, it will not work without the mobile which it is linked with. On the app, you can mark the device as ‘lost’ or ‘stolen’ and the developers can track the item and help get it back to it’s wearer! On a date that is going badly? Look no further – there is a necklace that can help. The Guardian Angel can be worn as an elegant necklace or a discrete bracelet. If you are, say, on a date that is not going to plan, simply press the pendant’s secret button. 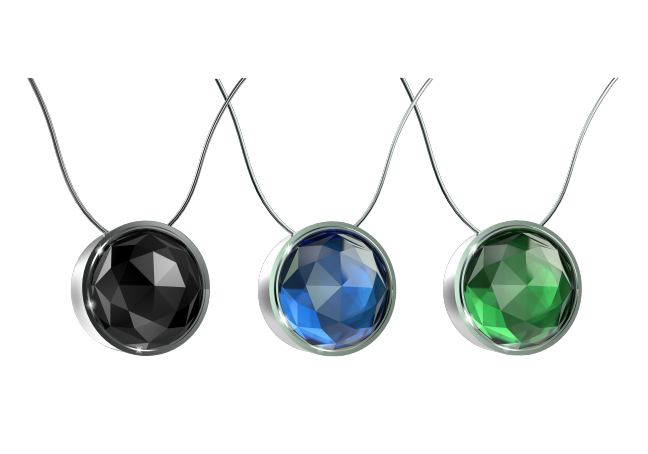 This activates the pendant, linking to the wearers mobile and makes it ring. This is called a ‘fake phone call’. A great way of faking your way out of any situation. In a more serious situation, the wearer can press and hold down the button for 3 seconds which sends an emergency text to a family member or friend to notify that one is in danger. This text provides important co-ordinates and a link to Google Maps which pin-points her location. You never know what situation you will get yourself into. How about getting cuffed and taken by a stranger? These things can happen and do happen. The Escape Ring is a simple ring made from titanium. But on the inside, this ring contains a feature like no other. Hidden from sight, the item contains a handcuff pick/saw-blade tool all-in-one. The saw is flexible so it can fit into the inside groove of the ring. The saw blade is sharp enough to cut through cable-ties, disposable handcuffs, rope, and other non-metallic materials. With a bit of practice, this tool becomes easy to use. See a great review at The Gadgeteer. I hope you have enjoyed reading this post as you never know when you will need one of these life-saving pieces of jewellery.